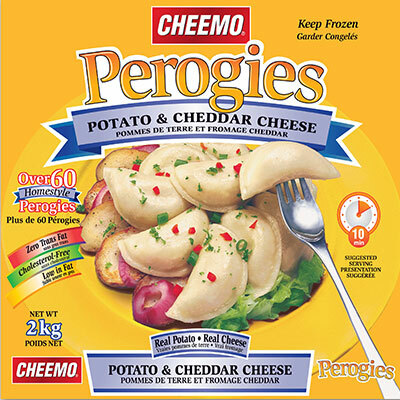 INGREDIENTS: Enriched Wheat Flour, Fresh Potatoes, Water, Cheddar Cheese, Canola Oil, Salt, Annatto. ALLERGENS: Contains Wheat, Milk. May contain Soy.